It is expected that students be present and on time and prepared for class for the students to make the best use of their instructional time. The school recognizes the difference between excusable and inexcusable absences from class. Attendance is considered part of the learning process and faithful, consistent attendance is encouraged. Many learning activities upon which students are evaluated take place during class time. Student absence will have an adverse affect on opportunities to master learning objectives. Parents are asked to phone the school and inform the office staff of student absences. After a student has been absent for an equivalent of 5 hours in any one subject during a semester or quarter, the school office may send a letter home to parents informing them of the accumulated absences. After a student has been absent for an equivalent of 10 hours in any one subject during a semester or quarter, the parents may be contacted by the teacher to set up a meeting with the student, parents, teacher, and a school administrator. At this meeting a plan for improved attendance will be developed to the satisfaction of all parties. If a student arrives late for class, they are to wait at the door to be admitted to class by the teacher. Students are not marked absent if given permission by a teacher to not be in class. 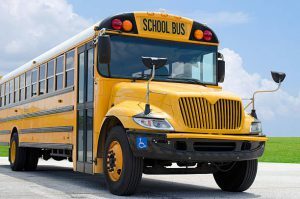 Students returning to school after an absence are to make arrangements with the teacher on the student’s first day back to school to gather information about missed assignments and to schedule any missed exams. Most importantly, it is the responsibility of the student to approach the teacher to make arrangements for the exam or any missing work if the student has been absent. Hats or toques may be worn in the hallways. Each teacher and substitute teacher will make a decision regarding whether they will allow hats in their classrooms. All headgear must be removed when singing O Canada. Students must remove head gear at assemblies and at any time that staff feel it is situational appropriate to remove a hat etc. Shoes should be worn in school at all times. Students are expected to exercise good judgment and to take pride in their personal appearance. Clothing must be appropriate for school environment. No profanity or offensive language or symbols may be worn on clothing while at school. Clothing that is deemed to be offensive is to be turned inside out or removed and replaced with an acceptable substitute. Students must have clothing that is appropriate for weather conditions outside and classroom temperatures inside. Any clothing that exposes students’ undergarments is not permitted. Skirts, dresses and shorts must be a minimum of the students’ extended arm/fingertip length. Any clothing deemed to be inappropriate is expected not to be worn to school again. Students are not to wear outdoor clothing (parkas, jackets) in instructional areas. Each Student is provided with a locker in which to store outer garments and backpacks during school hours. These expectations are not designed to hinder anyone’s right to choose clothes, but instead, they are intended to assist students with the development of positive and responsible attitudes towards situational appropriate clothing. The decision regarding inside/outside recess is to be made by the staff. It is expected that all elementary students go outside at recess and noon if weather permits. Notes must be sent by a parent to allow a student to stay indoors, but if sickness is a concern of the parent then the student may be better off at home. Students with notes should stay in their classrooms during the recess period. Elementary students from kindergarten to grade 6 may use the servery only at noon. Permission notes from parents are required for students in kindergarten to grade 6 to use the servery. Students are expected to eat their lunch in their assigned areas. Many students eat lunch at school, and it is important that students clean up after themselves. Students are not to leave school grounds at recess without permission of their teacher. Bus students from kindergarten to grade 6 may not leave the school grounds at noon without a note from their parents and permission of their teacher. Students from kindergarten to grade 2 are to enter the school using the main front entrance. 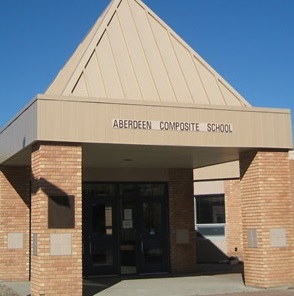 Students from grade 3 to grade 6 are to use the north entrance. Students from grade 7 to 12 may use either of the front entrances. Locker clean-outs will be held at regular intervals. Only school issued locks will be allowed on lockers. These locks are available for purchase at the school office. Lockers must be kept in a clean and sanitary condition. Failure to do so may result in a student losing locker privileges. Hallways are for foot traffic and not for sitting. There is no running allowed in the halls. Grade 7-12 students should not use the elementary hallway. Hallways are to be kept clear of personal belongings. Any books, clothing, or other student articles left in the hall will be placed in the Lost and Found. Our school is a safe place for everyone. Any object that endangers the safety of others is not to be brought to school. Such object, if brought to school, will be confiscated. Inappropriate behavior will result in lost privileges. It is expected that every student show respect for all other people and for the school facility. School cleanliness is a part of showing respect. Personal valuables should not be brought to school. Bikes brought to school are to be locked up and placed in bike racks. The school cannot guarantee the safety of bicycles when brought to school. Students should not leave valuables in the change rooms by the gymnasium. Again, the security of any valuables cannot be guaranteed by the school. Every student will respect the belongings of others and it is expected that anything intentionally or accidentally broken or damaged will be replaced or repaired at the expense of the person doing the damage. Students are to make personal calls at recess or noon. Telephone use during class time is discouraged unless emergency conditions exist. Elementary students may have permission to use the telephone by asking their homeroom teacher for a phone pass. Cell phone use is only allowed at recess and at noon. Food and drinks are not to be brought into class. Students bringing vehicles to school may park only in the eastern edge of the parking lot at the Town Hall or along Second Avenue. Students may not drive vehicles during school hours or at noon without permission of a staff member. Students in grade 10 and 11 do not have spares. Grade 12’s must carry a minimum load of 9 classes. Exceptions may be granted by school administrators. Should a student wish to drop a class, the student must approach a school administrator and the subject teacher and discuss the situation. Parents must give their written permission before a student is allowed to drop a class. Students on spare are not to loiter in the hallway. An assigned classroom will be made available for grade 12 students on spare. There are two awards ceremonies during the school year. One of them honours academic achievement and is held in October. The other honours participation and achievement in extra curricular activities and is held in June. Students acquire points for their involvement and accomplishments. Involvement in an extra-curricular activity earns 5 points. More responsible positions, such as SRC President, earn more points. An academic average of 60 earns 5 points, of 70 earns 10 points, and of 80 earns 15 points. Points are accumulated from year to year, and when a student reaches 100 points a minor letter crest is received. A major letter crest is received at 200 points, and a super size letter crest is received at 300 points. School property is a no-smoking zone. It is expected that students treat the neighboring properties to the school with respect. Students eligible to participate in the graduation ceremonies are those who will complete all grade 12 requirements by the end of an academic year.